Have you ever had a moment so powerful that it reminds you exactly why you do what you do? Have you ever been faced with an event so big that you want to reinforce your passions and work even harder to change the world for the better? Such a moment has recently happened to me. Allow me to tell you my story. On August 1st, I became the new Marketing Coordinator here at the LGBT Center OC. And how quickly my dream has become a reality! It is an honor to get involved with an organization so compassionate, so helpful, and so important to the community that it drives me to work harder and be better every single day. This is the beginning of my life’s work. Being able to utilize my skills and resources to help other members of the LGBTQ+ community across all marginalized intersections is why I live and breathe. It’s truly my passion. Since starting with the Center, I have been reminded of that passion every minute of every day. And truly, there is no stronger of a reminder than being thrust into the reality of our queer existence by learning about the hateful murder of a fellow Orange County boy due to his sexual orientation. And this was only on my second day of work. On August 2nd, the LGBT Center OC’s Director of Advocacy sat and spoke with me. She informed me that the Orange County District Attorney is officially filing a hate crime enhancement against Sam Woodward, the 21-year old who murdered Blaze Bernstein, a 19-year old college student who was just returning home to visit family and friends this past January. This is a historical instance of a hate crime based on a person’s sexual orientation. And right here in our own community. In fact, there may be evidence to prove that this hate crime was two-fold, because not only was Blaze Bernstein a gay man, he was also a Jewish man. Woodward is known to have involvement with a seriously scary neo-Nazi group, which only served to fuel his anti-Semitic and anti-gay ideologies. 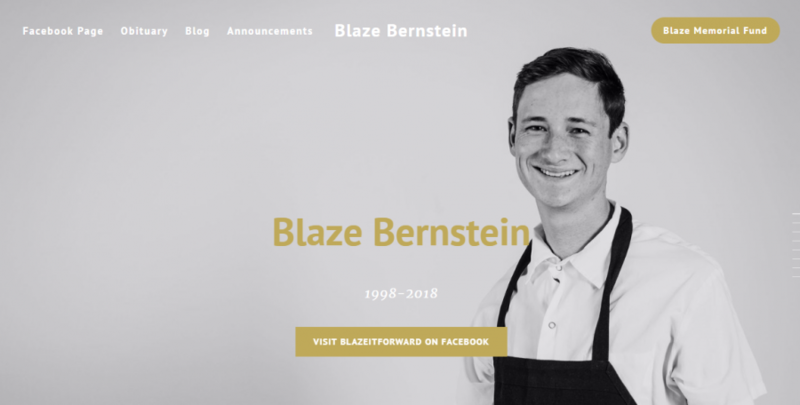 Visit blazebernstein.org or #Blazeitforward on Facebook for more information and to get involved with advocacy for his case. It’s quite a heavy piece of news for anyone to digest, let alone someone on their second day of work. Let alone someone who is a part of the same LGBTQ Orange County community as Blaze Bernstein. Let alone someone who is gay like Blaze Bernstein. I am a gay, transmasculine, non-binary individual. My immediate feelings upon hearing the news of this murder were a powerful combination of fear, anger, and vengeance. I had fear that even in my own community, I cannot feel safe as a gay person, nor as a trans person – and especially not as both. I had anger for this senseless crime, anger about the extreme lack of education which drove Sam Woodward to feel justified in his cruel actions. I had vengeance for this situation because I wanted Blaze Bernstein back. I wanted him to be safe, protected, and free from discrimination. I wanted the worst for the kid who did this to him, who seems so far beyond redemption. It is despairing to hear that someone in this day and age can be murdered simply because of who they love, or how they present. It is despairing because there is no logical explanation for it. There is no moral explanation for it! It is downright cold-blooded, hate-inspired murder. This is a horrifyingly tragic piece of news, but one that is fueling me to become even more involved with my passions. The truth is, stories like this are not all that uncommon for people like us. As the LGBTQ+ community works their tails off to raise awareness and advocate for acceptance across all marginalized groups, they, more than anyone, must deal with the harsh reality that these crimes do happen, and they happen a lot. People in the LGBTQ+ community fear for themselves and their loved ones every day. 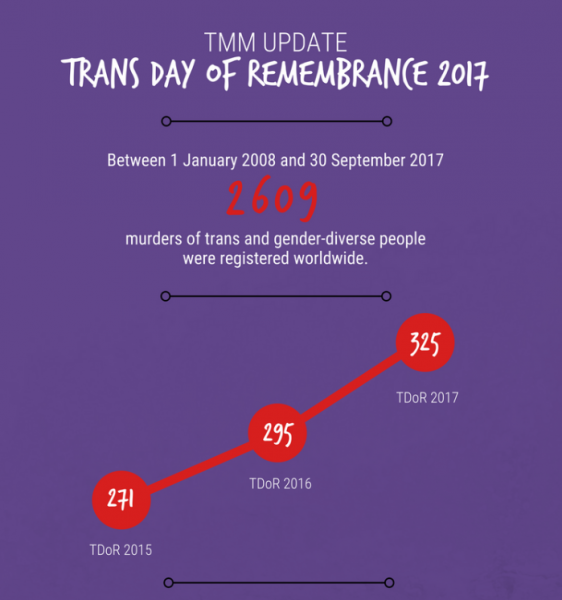 In 2017, 52 LGBTQ+ individuals were murdered as a hate crime. This is an 86% increase from 2016 – excluding the Pulse Nightclub shooting. Unfortunately, these numbers seem to be on the rise for 2018. New reports are found almost weekly that describe murders of those in the LGBTQ+ community, and a disproportionately high amount of the victims are people of color. Trans women of color are the most targeted recipients of hate crime. There are people who hate us just for who we are. They don’t know us, they don’t understand us – and that’s what drives their ignorance. Fighting hatred and promoting better education is why I’m here. Working as hard as I can to prevent something like the Blaze Bernstein murder from happening ever again is my passion. It was important to me to be reminded of our reality, especially so early on in my advocacy career. I only want to work harder, feel deeper, and love more profoundly. The LGBT Center OC is dedicated to driving the fight to end hate for the LGBTQ+ community. Through dynamic outreach programs, youth teams, transgender services, public-facing events, and much more, we continue to remain at the forefront of the push for advocacy and support across all margins of the LGBTQ+ community. 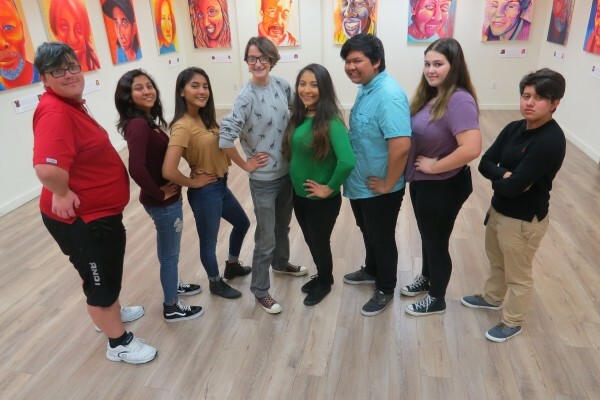 The LGBT Center OC is a strong advocate in the school systems, working to establish and support over 45 Gay Straight Alliance organizations across Orange County. We work to promote and offer comprehensive services for youth and students that include affirming healthcare, updated curriculum, and advocacy training for teachers and administration staff. You can read more about our youth programs and advocacy on our website. Additionally, our Youth Empowered to Act (Y.E.T.A.) group consists of a coalition of LGBTQ+ and allied youth who are committed to creating safe spaces within their schools and the greater community. By sharing resources and speaking as a cohesive voice, we are able to create change for young people, giving them the opportunity to live the life they want. Our Directory of Advocacy, Laura Kanter, fights for social justice by listening to cases of discrimination or injustice in the legal and social systems. She attends hearings, affirms legal rights, and fights for better awareness and education across all fields and industries. Most powerful are the Center’s cultural competency trainings, which provide training on LGBTQ+ inclusion, competency, and education. These training seminars are powerfully integrative and work to educate folks from the ground up, helping to make school, medical, and all public systems more inclusive for everyone. Earlier this year we launched our largest training program ever with the Anaheim Elementary School District to provide training on how to support LGBTQ+ students. We conducted training for staff at all 30 Anaheim Elementary Schools. All school staff were trained; including teachers, administrators, counselors, librarians, nurses, food services, janitorial and front office staff. Training was also conducted at district offices and included all district staff and IT departments. In total, we trained 1,482 school district employees. The Center would not be here without our incredible supporters and community members who love to see what we do, which is why we are always advocating for LGBTQ+ visibility through one of our public-facing events. Recently, we hosted Trans Pride, a fun and informational day filled with panels, workshops, invaluable resources, and a nice community gathering where people can learn about or promote support of the transgender community. We continue to provide a multitude of resources, education, and events to promote better awareness and equality of the LGBTQ+ community in Orange County. I’m so proud to be a part of this team. Together, through our collective voice, we are making real change that will impact real lives. And when reality gets tough, we just keep going. This is what we do. We will never stop. We seek justice for Blaze Bernstein and for all of those whose lives have been affected by a culture of ignorance, hate, and abandonment. Let’s continue this fight together!